The Australian Council of Social Service has been working hard on the Raise the Rate campaign after the Federal Budget failed to address the inadequacy of Newstart and Youth Allowance earlier this month. Newstart and Youth Allowance haven't increased in real terms in 24 years, despite the cost of living increasing year on year, and while the issue is a Federal one, the impact has a flow on effect and places enormous strain on services and supports provided by the community services sector at a local level. In South Australia, ten local councils have joined to advocate for a rise to Newstart, along with two councils in Victoria, and in WA the motion has been put to the Fremantle Council to support an increase to the payment. This response from local governments is encouraging, and the wide support this issue is getting shows how incredibly important Raising the Rate is to those living on Newstart. Sign the joint statement to Raise the Rate and encourage your organisation to sign up too. 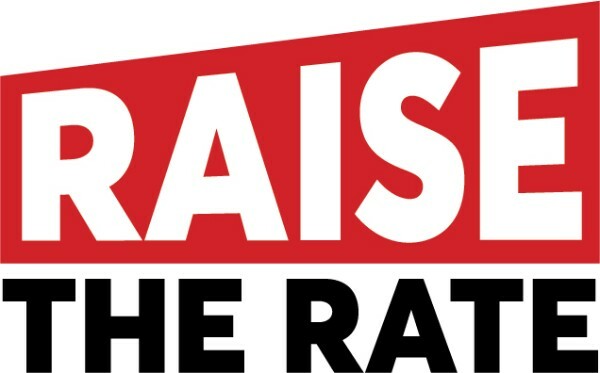 Print out the Raise the Rate logo and post it on social media saying that you support Raise the Rate. Write to your local Federal Member of Parliament and call on them to Raise the Rate. Lobby your local council to get them to pass a motion calling on the Federal Government to Raise the Rate. Write a letter to your local newspaper calling for the rate of unemployment and student payments to be raised. Use the facts, statistics, and messages provided by ACOSS on their website to support the campaign. The State Government is seeking feedback on the Aboriginal Heritage Act 1972 (the Act) to determine its effectiveness and identify any gaps in the legislation. Written submissions are being accepted up to 1 June 2018, or you can complete the online survey here to have your say on an amended Act. Yaandina in Roebourne opened a new client facility last week. The gardens and centre have been built to encourage aged-care residents to venture outside and to provide a space for family and friends to share. The new centre, gardens, and refurbished administration building was possible due to the support from Lotterywest, the State and Federal governments, and Pilbara Development Commission. The Department of Communities have extended the deadline for the tender process for the Thrive Program. The program builds on the Department's initiative, and will be delivered in partnership with NGOs. Thrive builds on successes of the STEP program with a stronger focus on early intervention. The extension is for an additional four weeks, and the new deadline will be Tuesday 10 July 2018. There will be an additional information session 10am, Monday 28 May 2018, at the Department of Communities’ Theatrette, 189 Royal Street, East Perth which will focus on pricing and payment schedules. Email thrive@communities.wa.gov.au or call (08) 6217 6299 for more details. headspace in the Pilbara opened this week, providing a new model of service to young people in the Pilbara region. Counsellors and support staff are based in Newman, Hedland, and Karratha, and will work in the field providing outreach for mental health, physical health, work and study support, and alcohol and other drug services. The innovative youth mental health service model was proposed by Anglicare WA, and is funded by the WA Primary Health Alliance (WAPHA). Not for profits working to build resilience and capability in people experiencing homelessness and abuse are encouraged to apply for a grant of $25,000 or $50,000. Applications close Thursday 31 May.